Your beautiful, little girl is growing up into a wonderful, young woman and what better way to celebrate this transformation by inviting family and friends to a party they’ll all remember! 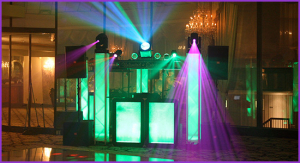 Our MC & DJ team will work together to provide with the right mixture of excitement, dancing, and entertainment throughout the entire evening with the utmost of professionalism to ensure that all the formalities are taken care of and that the dance floor remains jammed pack with fun and excitement! 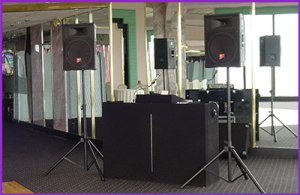 ADuring the first half hour of the event, our DJ will play soft music in the background as your guests arrive. During this time, you will have the opportunity to greet and thank your guests for attending while the catering hall passes around appetizers. After the first half hour, the MC will officially welcome everyone there and introduce himself and the DJ while also clearing the dance floor and having your guests find their seats. Once your guests are ready, the MC will begin the Grand Entrance. There are several ways of going about the Grand Entrance so to ensure there are no mistakes made, we offer a Grand Entrance Form to all of our Sweet 16 guests of honor. Regardless if it is short and simple by just introducing the Sweet 16 girl or introducing an entire selection of V.I.P.’s, the MC will make sure that the Grand Entrance goes off without a hitch. During this time, the DJ will play the music you’ve selected! Once the Grand Entrance is complete, we can either open the dance floor, call up whomever may be giving a toast that evening or take a group picture of the Sweet 16 girl and all of her friends if our TV packages are available that evening. We always make sure have the Candle Lighting Ceremony be highlighted that evening and to ensure this happens, our MC will have everyone find their seats as our Sweet 16 girl makes her final preparations. The MC will explain to everyone in attendance how the Candle Lighting works and finally, the MC will provide our guest of honor with the microphone. As each person is called to come up and light the candle, we will provide the music that was selected for each candle based on the Candle Lighting form. Once the candle lighting ceremony is done, the MC will start the festivities off by having all your guests join in to sing “Happy Birthday” to the guest of honor. Once that is completed, the MC will keep the dance floor clear so that the Sweet 16 girl and her father can dance their special dance! 9. Dance The Night Away! Once all of the formalities are finished and everyone has enjoyed their coffee & cake, what better way to end the night by dancing the night away! We love finishing the night off with a packed dance floor and would enjoy nothing more than playing the best kind of music for your party to remind everyone of how much fun your Sweet 16 was!